It’s August! It means that it’s the season of summer and fireworks festival in Japan. 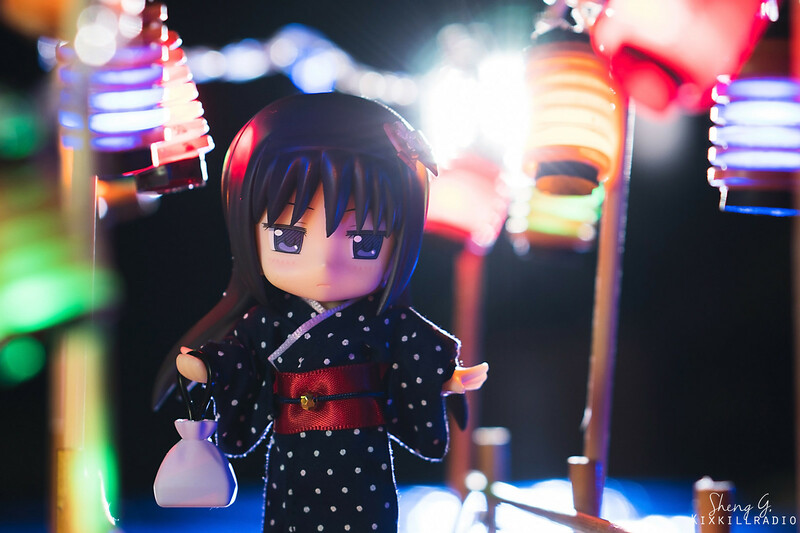 It’s the best time to wear yukata while watching fireworks with friends. To match the theme, I also made a DIY lantern for this photo project which I will make a separate post on how to do it later on. 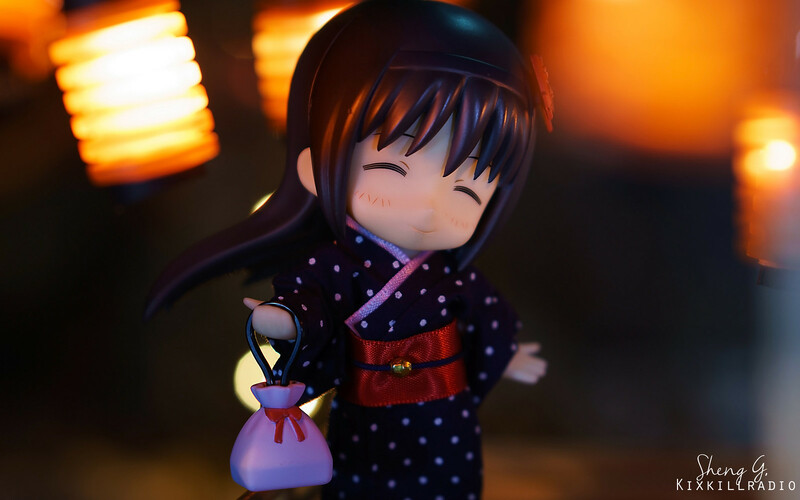 Today’s featured figure is Kotobukiya Cu-poche Homura Akemi and Cu-poche Inazuma dressed up with Cu-poche Extra Hannari Set. 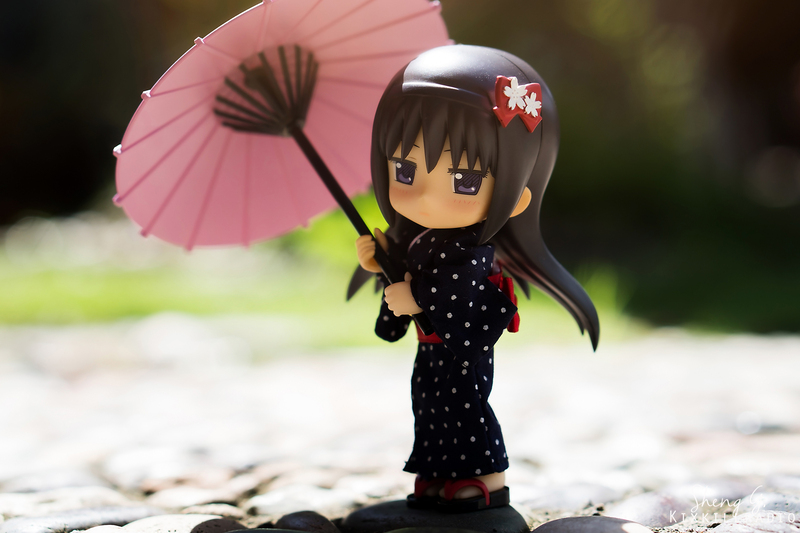 I like that Kotobukiya started to make clothes for their Cu-poche figures including this lovely yukata. 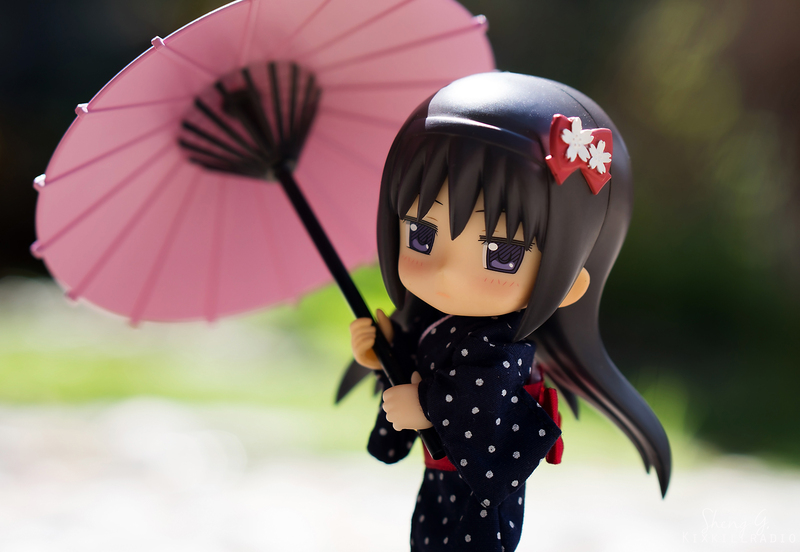 Kotobukiya Cu-poche Extra Hannari Set also comes with this cute umbrella to match their outfit. 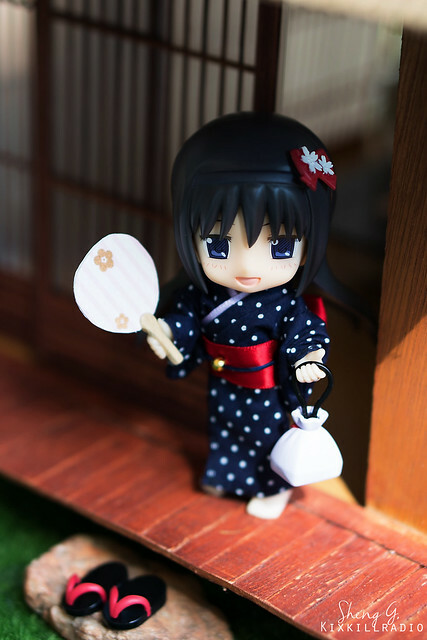 Homura Akemi is now ready to meet her friends at the festival. 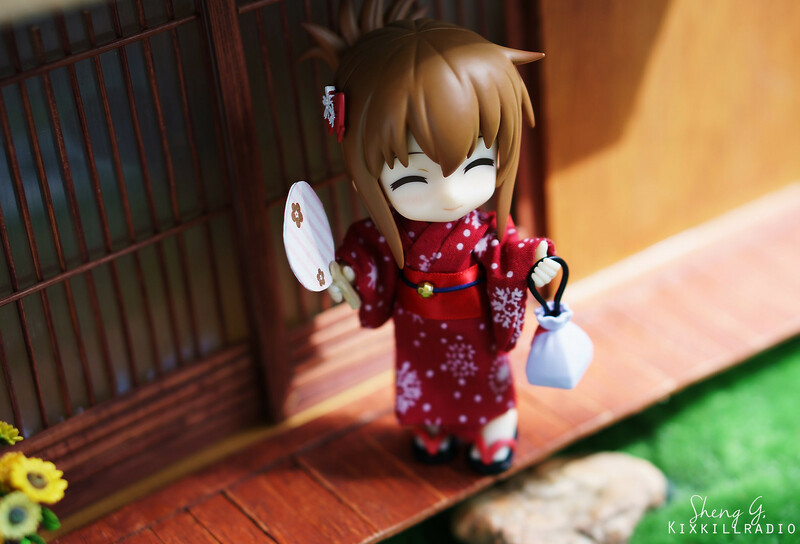 Inazuma looks beautiful in her red yukata which I bought from a thrift store many years ago. I borrowed Hannari set’s Obi and other accessories and wow it looks great on her! The paper fan was DIY btw. That’s all for today everyone! Watch out for more interesting tutorials and figure photography soon! All photos shot with Sony A6300 with 50mm f/1.8 OSS. Lighting with Slickforce Softlight and Sony HVL-LE1 video LED light. Aww love that Inazuma shot. 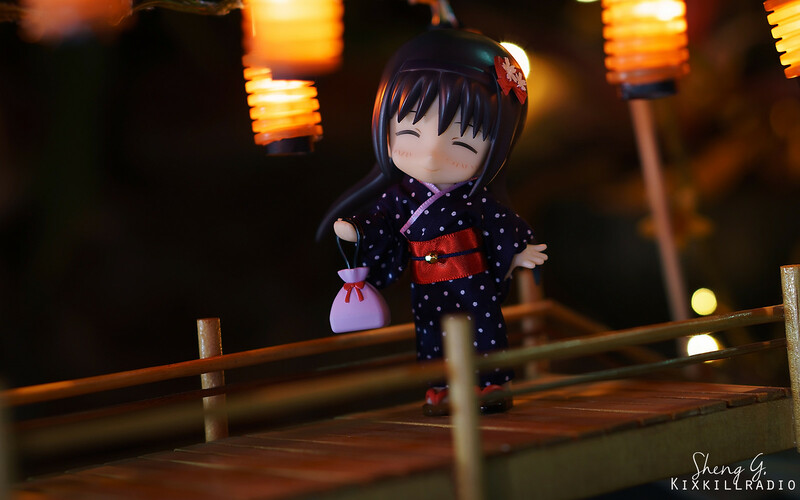 They look great in their yukata!